The teekkari cap is an auspicious symbol of the teekkari (technical student) lifestyle. It has a very rich history dating back to 1893. It is a summer cap which can be worn from 1st May (wappu) to 30th September. Special permission is required to wear the cap outside of these dates. But what if you were not born and raised in Finland? Does it mean you can never get this cap? Well, not really. But in order to get the cap you should first integrate with Finnish culture, most importantly teekkari culture. 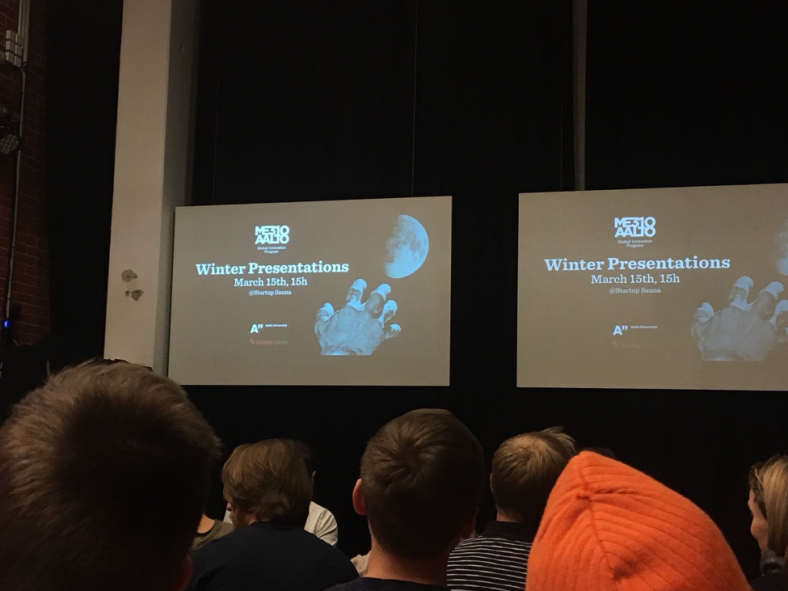 So as a student at Aalto, you can get the teekkari point card from your respective guild and start filling in the points by attending a variety of events and doing a whole bunch of different things that are part of the teekkari lifestyle. The points on the card are divided into different sections, and I’ll go over all the sections and major events required to get a teekkari cap. Whether you are into technology or IT, or for that matter in product development, Silicon Valley is the one place that would come in mind as a work place which would definitely be a life event for you that will be really hard to check in the wish list of yours. Reason for this could be that stakes are high in the most advanced research tech companies and margin of failure is low. What would it take you to get this dream come true? Yes, you heard this right! Aalto University has the solution for you. ME310 is a platform where you learn to apply the product development concepts at whole new level with real life projects offered by companies which are looking for solutions to problems that will make the world experience more comfortable for all of us. In Aalto University, there are many project-based courses that provide valuable opportunities for students to work with real clients. For 2018 fall semester, I take the advanced studio course in Creative Sustainability master’s program – Design for Government, which utilizes design approach to tackle complex challenges of the government and public sector. This year our clients are Ministry of Agriculture and Forestry and Metsähallitus. The project aims at establishing a clear profile for national hiking areas and attracting more visitors. In order to help students gain a better understanding of national hiking areas, the course subsidizes every student for a site visit to Evo, which is about 90-min drive away from Helsinki. My team organized a two-day field trip in mid March. On the way to Evo, we were talking about wild animals living in Helsinki city. I was surprised that foxes can be seen around the suburbs. Then and there, a handsome fox crossed the street in front of our car and stared at us curiously. What amazes me the most in Finland is the nature is always so close and stunning. Day 1: Designers re-designing design during the workshop Breaking Ground: Laying a Foundation for an Intersectional Collaboration. 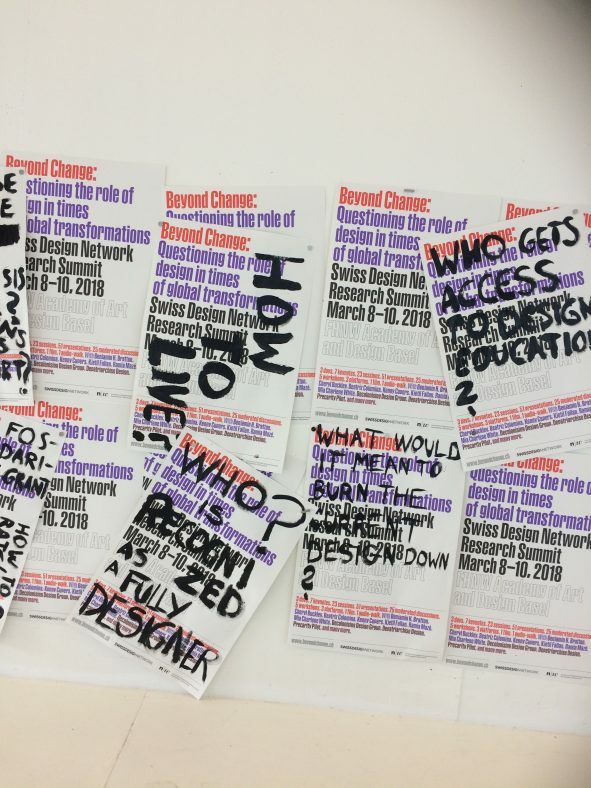 Beyond Change: Questioning the role of design in times of global transformations, was hosted from March 8-11 at the FHNW Academy of Art and Design in Basel. The conference brought together researchers, designers, student ambassadors, activists, feminists, environmentalists, writers, educators etc. The research summit’s aim was to shine a critical light on the complex interconnections of design – also as a response to the tendency of seeing global crisis as a worldwide design competition. The venue was a space for dialogue and for exchanging ideas. It offered me many opportunities to connect with people who intersect the design hub in a similar and critical way. Through workshops, keynote lectures, conversations, I connected with inspiring people from around the world, discovering professionals who are working towards fostering support, community and solidarity within and beyond the design community. 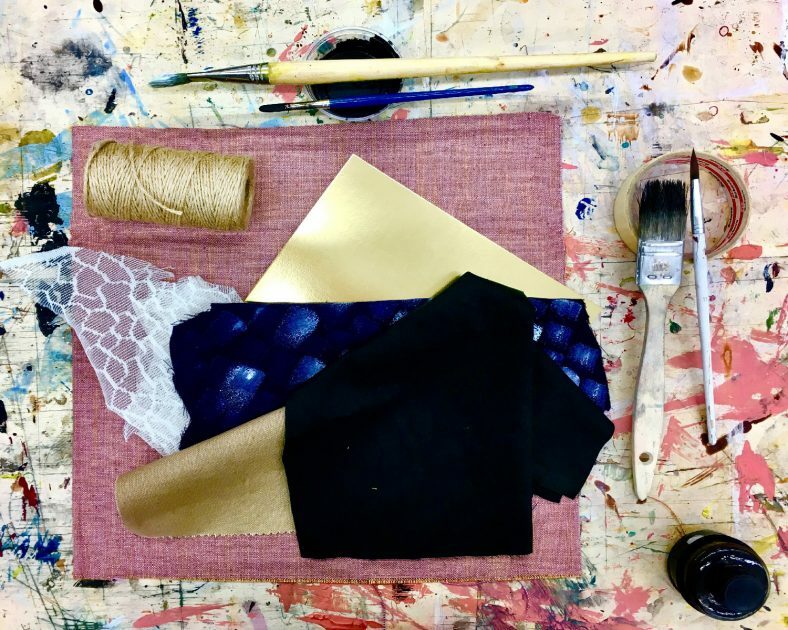 As part of my master’s studies, I participated in PatternLab ‘18, the annual textile and surface design project in Aalto University School of Arts, Design and Architecture. This year, our group of designers sold over ten percent of our collection. We had abundant sales with our loyal customers in the domestic market as well as strong sales at the largest international trade fair for home and contract textiles, the Heimtextil fair in Frankfurt, Germany. “The work that has been done over the years has now really begun to bear fruit. Especially the decision to strengthen the PatternLab brand among consumers a couple of years ago has been a really good solution. Sales were great last year, but this year we have sold over 50 items in a very short time. It is a great achievement for this freelance designers’ collection”, rejoices Adjunct Professor Maarit Salolainen from Aalto University.